The Array Builder is used by solar professionals to create the homeowner's virtual array in Enlighten to match what's installed on their roof. 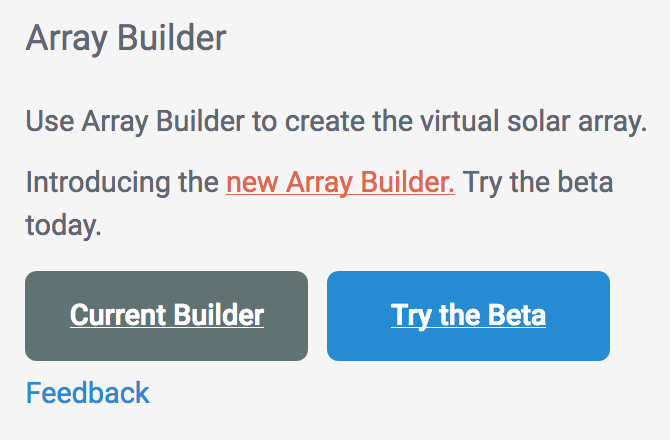 The Array Builder can be accessed via the site Activation or via the site's settings tab. This video applies to the new Array Builder currently in beta. Watch this video to create a full, more complex rooftop layout. Need to learn how to assign microinverter serial numbers to an array? Watch this video.